Pariwar Connexion(Retired Employee Web Portal System) has been developed to facilitate those persons who have retired from the active service of the organisation. They can view various in-house magazines to update themselves from the organisations progress and other relevent matters. They can know what’s currently going in their organization. 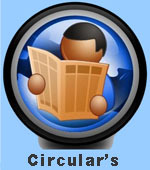 They can view company circulars to know the various details of the new changes in different policy matters. They can apply various claims from their home and submit it online. They can also know the status of their various claims that they have applied already.